Tax season will be here before we know it. Therefore, tax questions will be being asked left and right. There will be questions about claiming parents as dependents, deducting books for college and more. Therefore, we decided to put together a list of five of the most common tax questions. What documents are needed to do my taxes? The two common forms that taxpayers need to do their taxes are a W-2 form that comes from employers and a 1099-INT form that comes from the bank. Other important information you want to have with you everyone’s social security numbers and receipts if you have made charitable contributions throughout the year. Do I need to file taxes if I didn’t make a lot of money? If your income is below the IRS filing requirement ($10,000 for individuals and $20,000 for married couples under 65), it is still recommended that you file taxes. The only way you can get a refund is if you file a tax return. 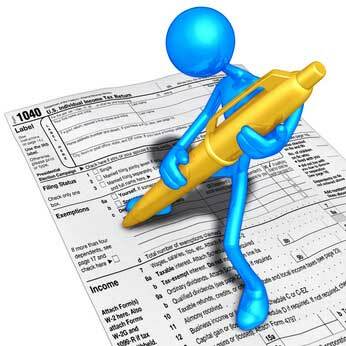 Therefore, you should file taxes so you can take advantage of refundable tax credits. The average unclaimed tax refund is worth more than $600, and the IRS puts a three-year window on claiming past refunds. Many people know they can claim their children as dependents. However, you can also claim elderly parents, significant others and other relatives in some cases. They will have to meet certain requirements, but each dependent can allow you to deduct $3,900, which reduces your tax liability. What tax deductions and credits are available for parents? Child and dependent care tax credit: For parents who have to pay for childcare. This credit is worth up to $1,050 per child. Earned income tax credit: For low to middle income working Americans. This credit can be as much as $6,044. Child tax credit: For those with big families. This credit can get you up to $1,000 per child under the age of 17. What tax benefits are available for college students? The American Opportunity Tax Credit: It helps parents and students pay for college with a credit that is worth up to $2,500 per student. It helps with tuition, fees, books, supplies and equipment. Lifetime Learning Credit: You can get up to $2,000 per tax return for college tuition, fees, and supplies paid directly to the institution. Tuition and fees deduction: This allows you to deduct up to $4,000 from your taxable income for your college expenses. Keep in mind, if you file online with H&R Block or TurboTax they will ask you the correct questions to let you know which deductions you qualify for and guarantee you will receive the largest refund ever. Their online filing services have the ability to import your W2 information into your tax return so you can avoid worrying about your forms being delivered via snail mail. You can also use their free tax refund calculator to see how much of a refund you can expect. This entry was posted in student taxes and tagged 2017, questions, Tax by frankie1266. Bookmark the permalink.